As I find gems, I'll post them here. Feel free to pitch a book to me for a potential review. Oh, yes. I'll let you know about my clients' books, too. But I'll disclose that my clients are my clients. ... they wouldn't want it any other way. "Everyone's heard of the college admissions scandal by now. It's time to learn about the college emissions scandal. It also stinks." So says Stacey J. Miller, author of the new book, Feline Operation Barfitty Blues: The College Emissions Scandal (BPT Press, March 2010). Stacey, along with practically everyone else in the U.S., was startled to hear that some of the rich and famous celebrities of Hollywood had cheated to get their children admitted to elite colleges. 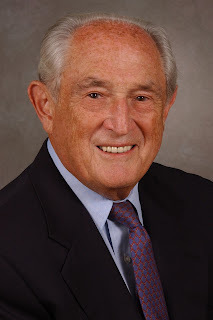 "I understand there are serious repercussions of an unfair college admittance system, and I hope the lawsuits to come will help create accountability and transparency." In the meantime, Stacey decided to have some fun with the absurd side of the story. "People paying half a million dollars to get their kids into a choice college is unimaginable to me. So my imagination flew to something I could wrap my mind around: what would happen if felines were involved? 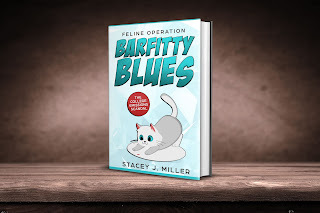 I started to write Feline Operation Barfitty Blues within a week after the story broke," Stacey continues. "It turned something awful into something that was quite a lot of fun -- in the context of cats." "When the world goes crazy, interjecting some humor into the discussion is a way to cope," Stacey explains. "I chose to enlist the help of some cats," Stacey explains. "Their motives and actions usually are a lot more understandable than those of humans!" The "Mama Mia, Part 2" movie was supposed to be the cultural highlight of my summer. That let me down, bigly. I am not easy to please. There are 844 books downloaded onto my Kindle and another 2,197 archived items. (I call my Kindle "Cokie" for a reason.) That's 3,041 ebooks, and I don't even want to tell you how many actual printed books I have stacked in every nook and cranny (in fact, I may be wearing several of them). The point here is that I have way too much reading material to whine that I have "nothing to read." But, for much of the summer, I flitted about from book to book, taking a few sips of one and lingering for a couple of days at another, but savoring few of them for very long. Nothing captivated me. It was not a good season for beach reading. 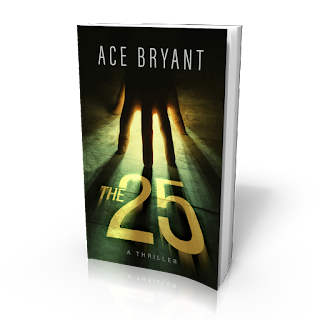 Until Ace Bryant's The 25 came along. How can catatonia be a major psychiatric illness when no-one knows what it is? Could it be that psychiatry has lost touch with the real mental disorders? The question is important because catatonia is probably more treatable than anything else in psychiatry. And it affects one patient in every ten with a serious illness — but first it has to be recognized. It is not a form of “schizophrenia,” and does not respond well to the anti-schizophrenic drugs that many doctors might be inclined to use. In his novel, The Winter Soldier, Daniel Mason writes of a World War I soldier's body that is curled up among a pile of roots: "Alive...But it doesn’t move. It doesn’t speak." The fictional soldier's body only twitches when someone touches his shoulder. "The man’s eyes were wide, his nose flared, as he tried to take in breath. But no words, nothing save the flinch, the stare," the novel continues. In Piecesby Sally FieldRaise your hand if you thought Sally Field might be the one person on the planet who had been blessed with a perfect set of life circumstances. Me, either. Her lifelong challenges were as real and profoundly disturbing as those of many other people. The good news is that Sally's wisdom and self-awareness turned her experiences into a candid, compelling memoir that all of her fans -- as well as everyone who appreciates autobiographies, as I do -- should read. 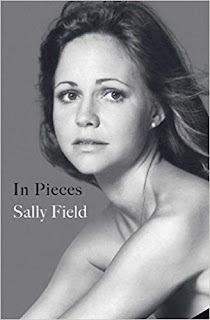 Candid and compelling, "In Pieces" is a story that deserved to be told, and Sally should be gratified that she had the ability to tell it so well. Solid, poignant writing by a gifted and highly skilled actor. She is as good at parsing words as she is at working a stage (and screen). Five stars! See my full review on Amazon. I'm a book publicist. That means that, in many ways, my job is a dream come true. I get paid to read books and, frequently, the books that I promote are books that I'd want to read even if I weren't getting paid to read them. That said, I read more than my share of books that are not written by clients. Some of these books are too good to not share. As I find gems, I'll post them here. Oh, yes. And as I come across great books by clients, I'll let you know about those, too. I'll always tell you when I book I'm blogging about has been written by a client, though. That's only fair, I think. If you'd like your book to be reviewed, feel free to email me at stacey at bookpr dot com.